Petal fold design or another name called pochettes design offers a contemporary style with the fascinating petal wrap design. 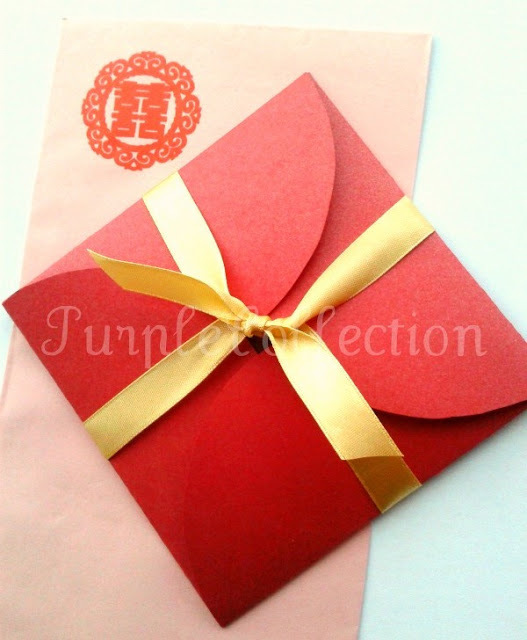 The edges interlock and unfold to present your invitation attractively. One petal at a time, the unwrapping is like opening a gift, and you'll have the full attention of your guests. The convenience of the design offers the ability to merely fold clockwise and secure the invitation before you enclose it in an envelope, but you may also add a sticker or enhance it with an elegant satin or chiffon ribbon closure for your own customized look. Envelopes provided in pink, beige, white, red, etc. Printing for inner pages up to 2 pages provided. 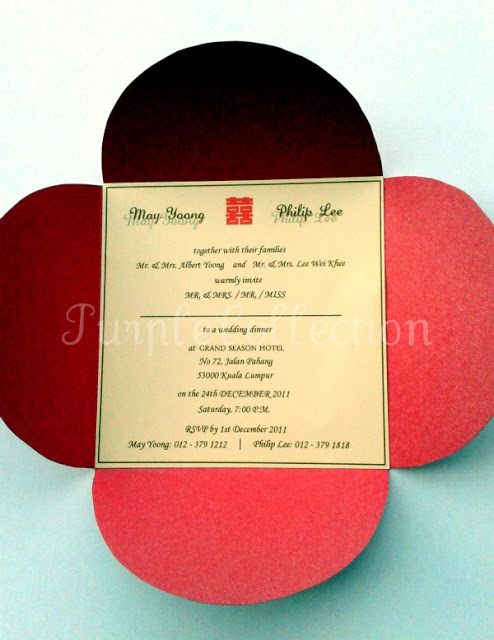 To inquire about this petal fold card design, please contact us for quotations.